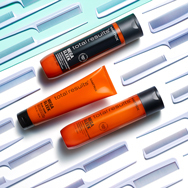 Helping to fortify weakened and over-processed hair, the Re-Bond 3-step process boosts strength in hair that's damaged. 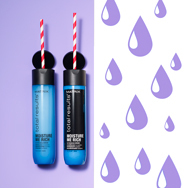 Keep your blonde cool and prolong your professional results with this perfect purple shampoo. 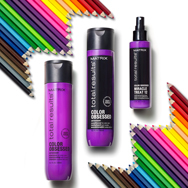 Neutralise yellow, brassy tones with the colour-correcting shampoo. 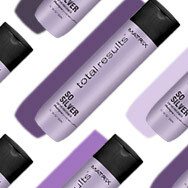 Ideal for bright blonde, highlighted or grey hair, the So Silver Shampoo keeps hair colour looking vibrant and healthy. With vitamin oil and neutralising pigments, Matrix Total Results Brass Off promises to leave hair with gorgeous cool tones and remove brassy tones in the process thanks to blue-violet pigments. Restore softness and shine with a lightweight feel with Matrix Oil Wonders. PREP. PLAY. PERFECT. Use Style Link products to get that professional stylish result you crave. Make your mix. Boost your style. Style Link's unique cocktailing options lets you add volume, texture and shine to your hair. 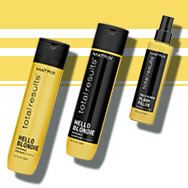 View all Matrix hair care in one place. Matrix was founded in 1980 by the American husband and wife hairdressing team, Arnie and Sydell Miller. The Millers wanted to provide hairdressers with a comprehensive range of products that would help them grow their businesses and provide the means to take full advantage of their talent and creativity. Now, over two decades later, the Millers’ original ideas still stand strong. 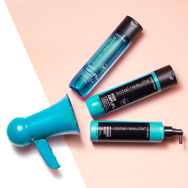 Using the latest technology, Matrix offer high quality products at affordable prices – including the Style Link, Oil Wonders, Total Results and Vavoom ranges. There truly is something for every hair type – allowing you to achieve the look and feel that you want with salon results. Create easy and quick styles with a little help from Matrix Style Link. Whether you're naturally blonde or not, blonde hair can need a little cooling down. 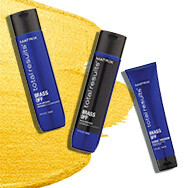 For supreme texture, style, hold and condition, Matrix has the answers to your hair prayers. 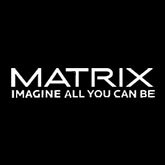 Matrix offers a diverse range of haircare, colour, style and texturing products that provide solutions for every hair type. The brand is built around six core values to inspire people to transform a passion for beauty into personal success. 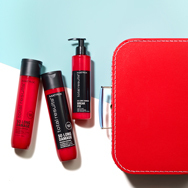 Adored by women and men worldwide, Matrix's reputation for supreme professional products has made them one of the most successful haircare brands for people across the globe. Matric have made it their mission to empower stylists and help boost community salons to ensure a positive change for their clients. Now, well over 20 years later and their original ideas still stand strong and Matrix remains committed to the development of salon professional products. Matrix Biolage Biomatch Colorlast Shampoo & Conditioner Duo – This product contains the anti-fade properties of orchid to protect against free radicals whilst hydrating hair and protecting colour. Hair is left soft, clean and nourished after using this product. Colour continues to be vibrant for an extended 9 weeks. Matrix Biolage Scalptherapie Normalizing Shampoo – Scalptherapie replenishes the hair and purifies the scalp of irritation caused my dandruff. By deeply cleansing your hair and scalp with botanical complexes which revitalise your hair leaving it looking gorgeous.